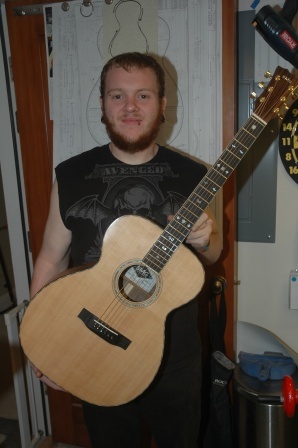 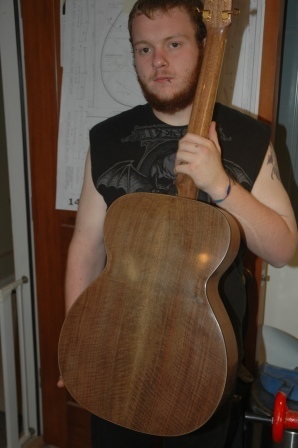 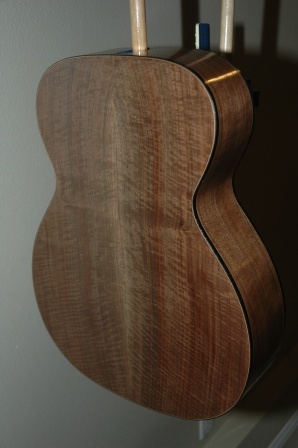 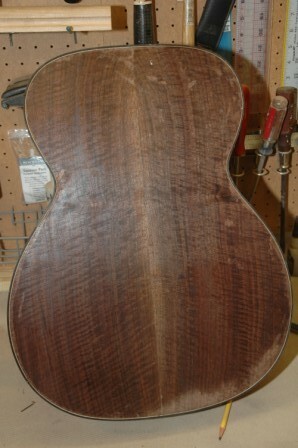 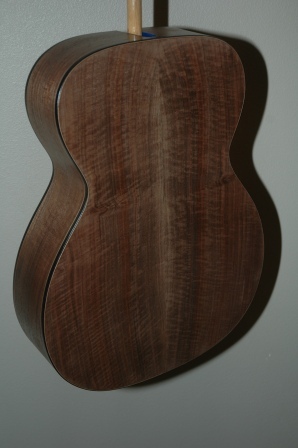 Devin dropped in today to start to put the finishing touches on his Walnut OM. 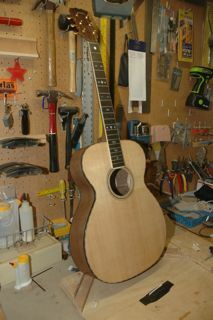 It’s been several weeks since this guitar has been addressed as summer has messed up both out schedules. 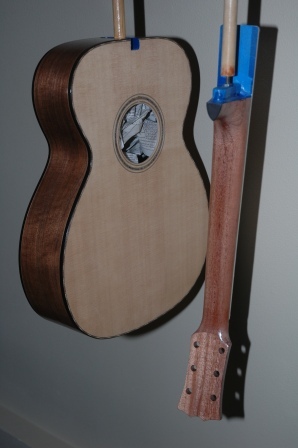 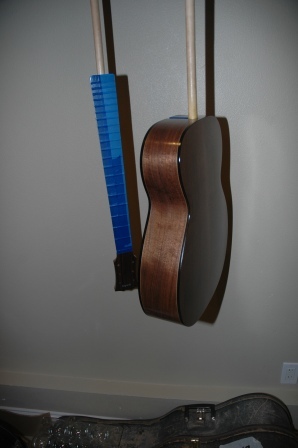 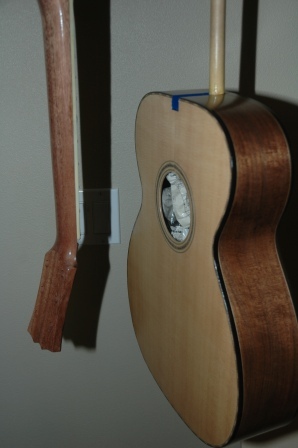 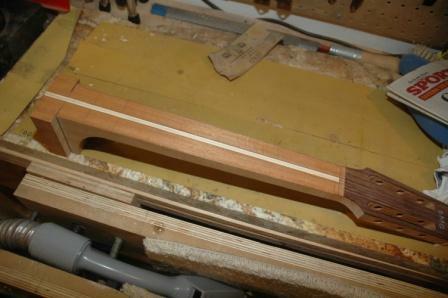 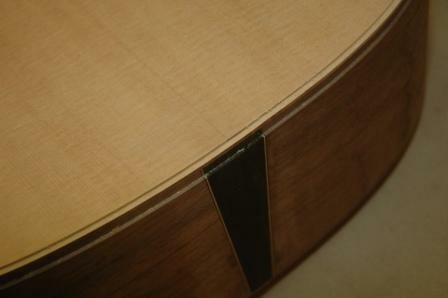 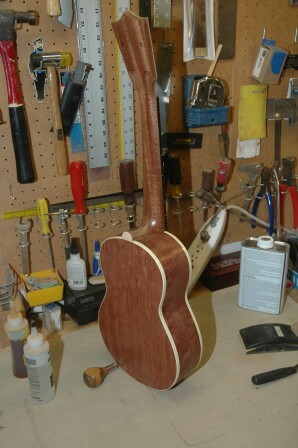 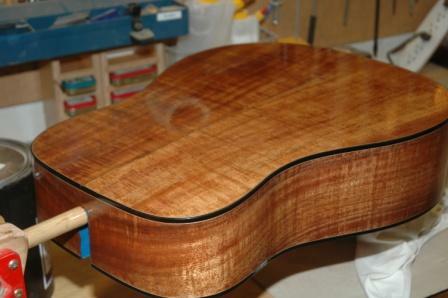 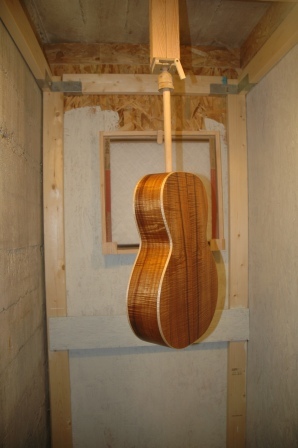 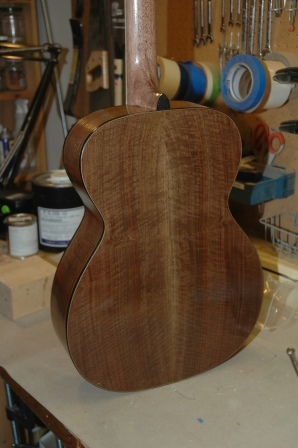 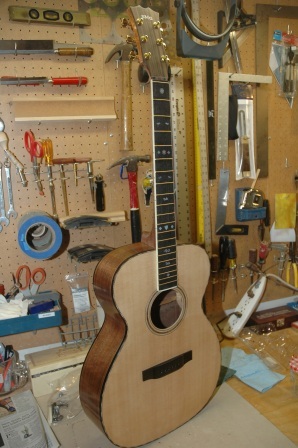 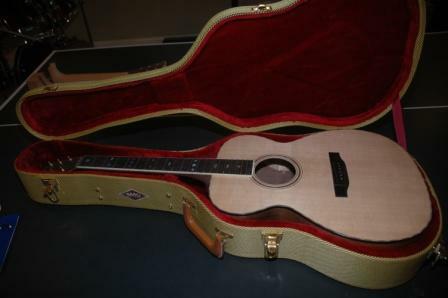 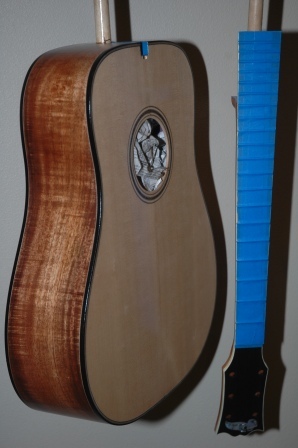 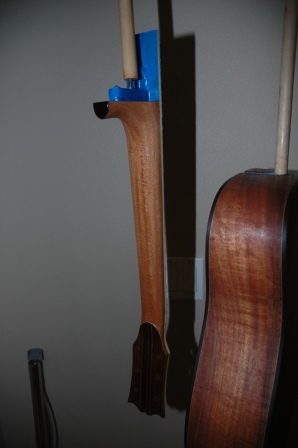 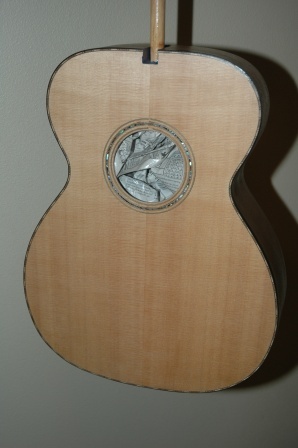 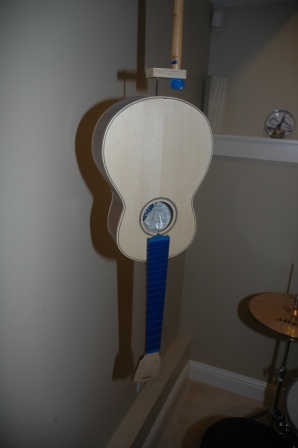 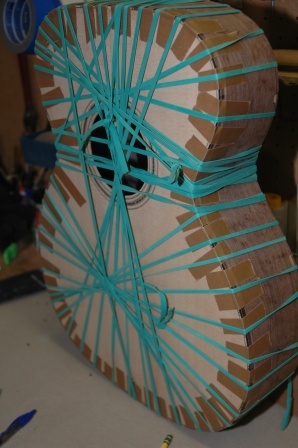 Today we set the neck, shaped the saddle and the nut, and installed the tuners. 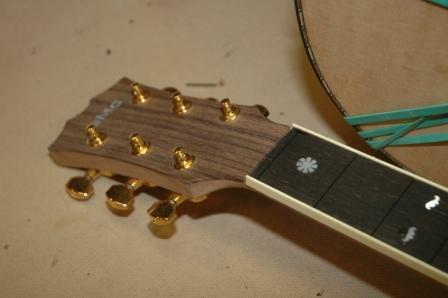 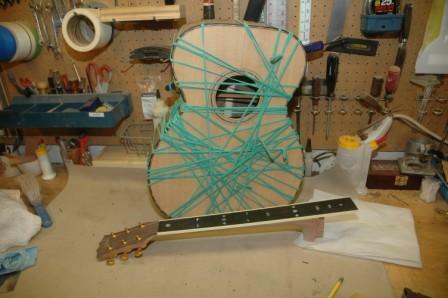 He’s returning on Friday to mount the bridge and dress the frets.